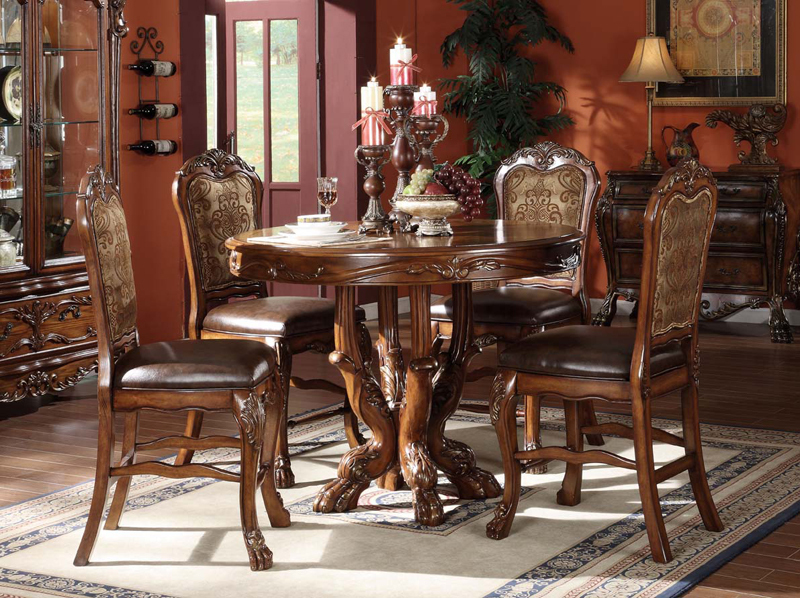 The Dresden Counter Height Dining Set will tastefully complement your decor with its Luxury design. Finished in Medium Brown Wood, this piece will transform your room with style. 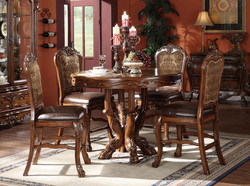 Constructed with hardwood frames and wood veneers.